Orihuela Costa is a vast stretch of coastline located on the southern Costa Blanca of Spain. In it magical turquoise blue coves are interspersed with wide beaches of transparent and temperate waters. 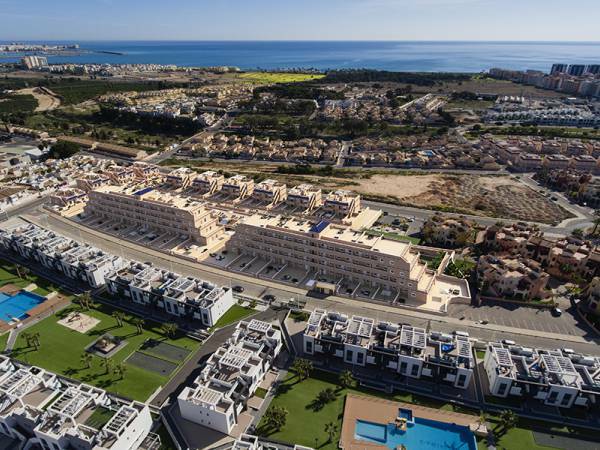 In a very privileged situation are the houses for sale in Punta Prima Orihuela Costa that we want to offer you today. 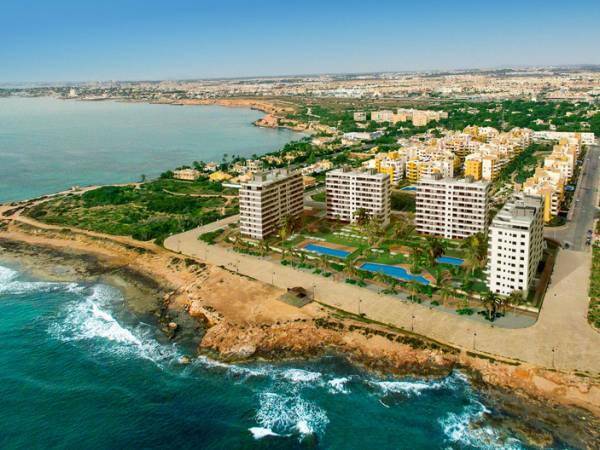 Punta Prima is considered a high quality tourist destination, as its high standard homes, built in beautiful and quiet urbanizations, have the ideal proximity to the beach, the marina or leisure areas. In its beaches you have all the necessary services so that your day in the company of your family is relaxing and fun. You have lifeguard and rescue service, rent umbrellas and hammocks, chiringuitos where you can buy an ice cream or a soft drink and, with an innovative accessibility, there is an elevator on the beach with direct access to the swimming area. Its excellent climate allows you to practice outdoor activities at any time of the year. But if you are a water sports enthusiast, this is the ideal place to go windsurfing, canoeing or have fun with your jet ski. Would you like to walk this winter along the shore of wonderful beaches of soft sands and warm waters? Sunbathing on the soft sand of the beach is the best postcard you can hang this winter on your social networks. 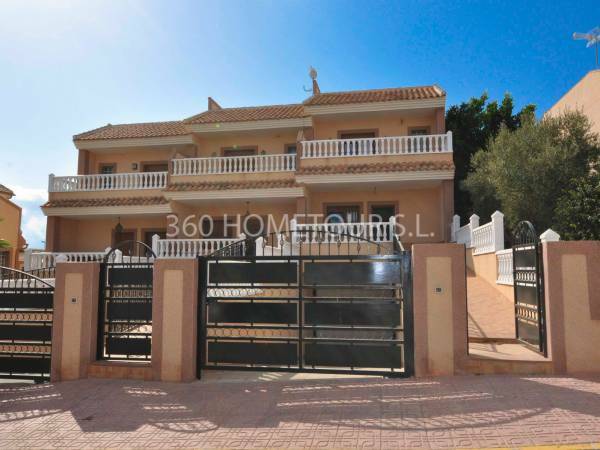 Buy one of our houses for sale in Punta Prima Orihuela Costa and show your loved ones the charming spots that the Costa Blanca offers you. 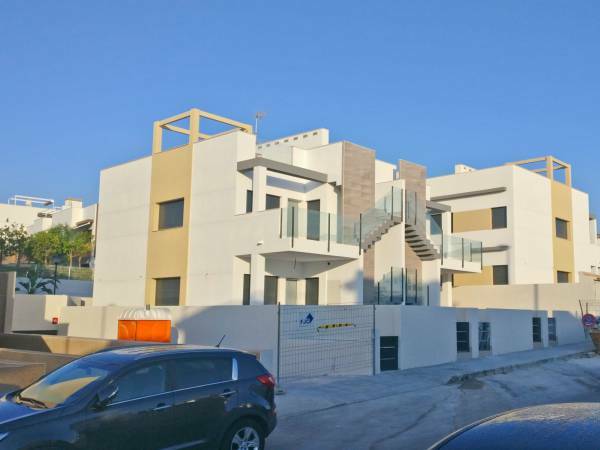 Do not hesitate to visit our homes for sale in Punta Prima. We offer an extensive range for you to choose according to your tastes. We have luxurious villas with swimming pool surrounded by large solarium areas. They are built with a traditional or modern design. Its construction materials are top quality and its finishes are precise and perfect. They comply with the current building regulations and have the perfect thermal and acoustic insulation. Its large windows allow solar lighting in all rooms, creating a cozy and homely atmosphere. Do not worry if you want to buy a house in Spain. 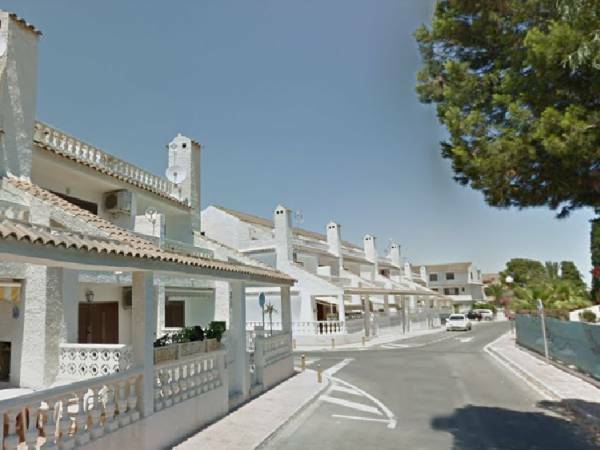 We have a team of real estate agents with great experience in the sector who will advise you professionally on all the procedures to be carried out to buy houses for sale in Punta Prima Orihuela Costa. We will inform you conveniently about such diverse topics as the application of the NIE or residence permit, the opening of a bank account in Spain, the domiciliation of taxes and supplies, currency exchange, requesting a bank loan, contracting life insurance, health, home or car, etc. Do not hesitate to ask us about the questions you need because our agents will be happy to assist you. To contact us fill in the questionnaire that appears on the web and, as soon as possible, we will contact you. You can also visit us at our offices located in Torrevieja (Alicante), at Avda. De las Habaneras, 85 - 03182.